True & Dorin Medical Group tries to stay at the forefront of modern hair restoration techniques. We believe that innovation can only benefit patients, improving their surgical experience and enhancing the final results of a hair transplant procedure. That's why our New York hair restoration team is proud to offer bio enhanced hair transplants, which have a number of advantages over the hair restoration techniques of the past. We'd like to take a moment to consider the basics of bio enhanced hair transplant and how it works. We'll then note some of the key benefits of bio enhanced hair transplants and what they mean for patients. What Is a Bio Enhanced Hair Transplant? A bio enhanced hair transplant refers to a variation on tradition hair restoration procedures. Both follicular unit transplantation (FUT) of follicular unit extraction (FUE) can be bio enhanced if a patient is ideal for it and the hair restoration surgeon believes it could improve the patient's treatment. Bio enhanced hair transplant uses platelet rich plasma (PRP) therapy to help improve the results of a hair transplant procedure. This biological therapy helps enhance the healing experience of patients as well as the overall recovery and results of treatment. PRP involves using a patient's own blood to create a rich solution that improves the results of a hair restoration treatment. This PRP solution is applied to the scalp and injected into the scalp. In response to the PRP solution, your body's natural healing abilities are stimulated, which encourages better hair growth. Good candidates for bio enhanced hair transplant are patients with healthy blood who are undergoing FUT or FUE. They should be aware of the risks and benefits involved with PRP therapy, and understand the nature of the process and what is entailed. Many patients at the practice qualify for bio enhanced hair transplant treatment. Thanks to the benefits of PRP therapy, patients who undergo bio enhanced hair transplant typically have more follicular units available to be transplanted as part of the treatment process. Thanks to PRP, bio enhanced hair transplant patients tend to report a much better post-operative healing experience. Bio enhanced hair transplant patients recover faster than patients who undergo traditional hair transplant procedures. As the transplanted hair grows in, patients will truly notice a difference that comes from bio enhanced hair transplant. The new hair is often denser and healthier looking than it would be initially through traditional hair transplant surgery. What's more, the transplanted hair typically grows in faster. The transplanted hair isn't the only hair affected by PRP therapy. 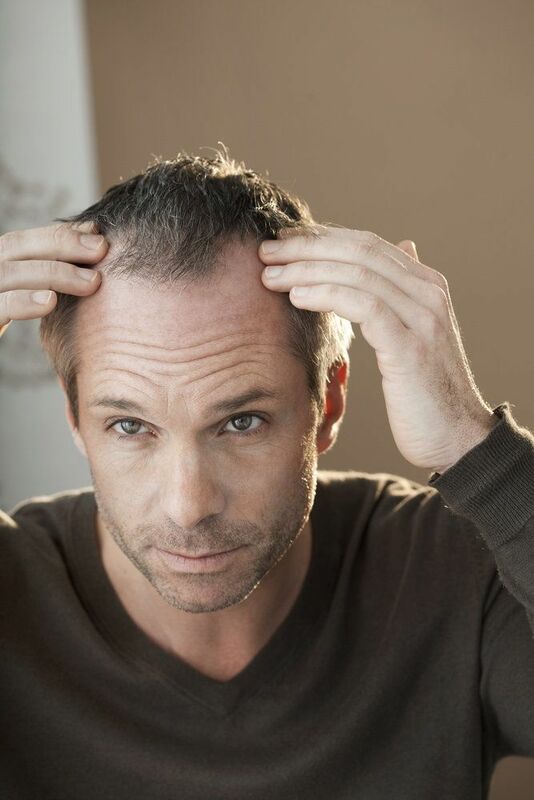 After undergoing a bio enhanced hair transplant, patients sometimes report that their remaining hair winds up looking better and being healthier as an additional benefit to the advanced treatment. The sure way to find out if bio enhanced hair transplant is right for you is to visit our practice for a consultation. During your visit, we will be more than happy to answer all of your questions and address your concerns, allowing you to make the right choice for your needs. If you would like to learn more about bio enhanced hair transplants and how they can improve the outcomes of your treatment, be sure to contact our team of hair restoration specialists today. The team at True & Dorin Medical Group will help you look your best and have a full and healthy head of hair.